By utilizing its original laser marking technology, Genesem is constantly carrying out important R&D activities in pursuit of synergy among its core technologies to further its technological prowess for a greater future. Established in 2000, Genesem has grown into a leading supplier of laser marking, test handler, inspection, pick and place, and other semiconductor back-end process equipment to customers in the U.S., China, Mexico and the Philippines. 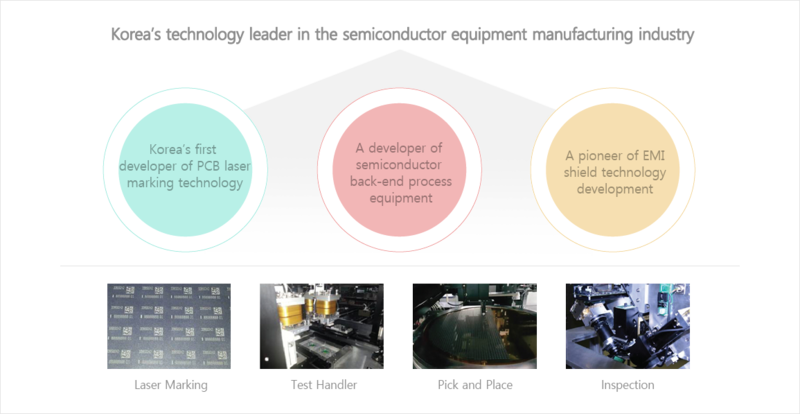 With the aim of becoming a top global manufacturer of semiconductor equipment, Genesem is on the way to being the leader in the EMI shield sector. At the same time, it is concentrating its R&D efforts on developing new systems and technologies that cater to the different needs of clients in different industries, as well as the very best semiconductor back-end process equipment. 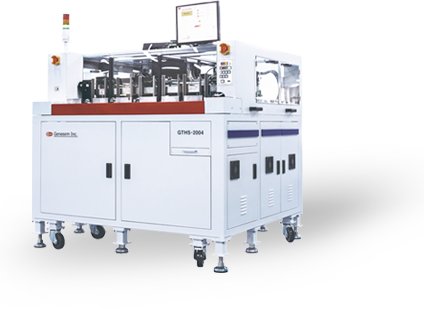 Since its foundation in 2000, Genesem has devoted its resources to developing, manufacturing and providing automated equipment for the semiconductor back-end process. Commanding industry-leading capabilities in developing and supplying semiconductor equipment, we are growing into a blue chip company with a solid foundation for sustainable growth and stronger global market power. Our goal is to become one of the world’s top three semiconductor manufacturers by 2020. Head Office relocation in Incheon-Songdo Technopark District. Established as Jin Technology Inc.